There are a lot of great ideas for Valentine's Day dinner out there, and for our family, dinner on February 14th is a big deal. Every year I go on a hunt to find THE idea. The one I fall in love with and sets the wheels in motion for the rest of the meal. This year, THE idea is heart shaped roasted potatoes. These cute little potato hearts are my starting point. Do you know what you are making for dinner on Valentine's Day? 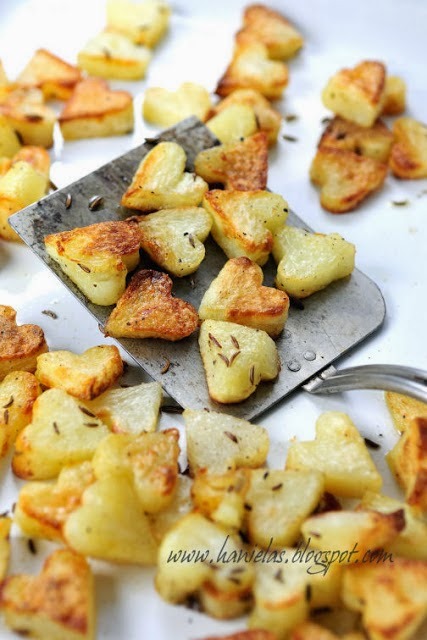 If you need these little lovelies, you can get the recipe for roasted heart potatoes over at Haniela's.